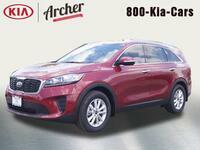 Interested in a Reserve 2017 Kia Sorento? The SUV segment has been rising in popularity for the last few years, prompting automakers to up their ante. Kia is a prime example of a brand that has been aiming to please its SUV-loving customers, and the 2017 Kia Sorento proves it. 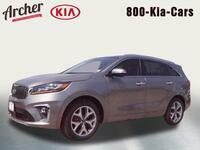 If you’re in the Houston area and have been looking for an SUV, maybe the Sorento is just what you’re after. Keep on reading to learn more about the model and what is can offer. Under the hood rests a 2.4-liter, inline-four gasoline engine, capable of producing a healthy 185 horsepower. The front-wheel drive model provides an efficient ride as well - coming in at 24 miles per gallon (city/highway combined). There are five total seats available in the new Sorento, with the ability to upgrade to seven seats. If you’re curious to learn more about the safety and convenience features, read on! In terms of safety, the all-new Sorento has standard traction control, stability control, an anti-theft alarm system, turn signal mirrors, tire pressure monitoring and so much more. While safety features are important, the Kia Sorento also offers a lot in terms of comfort and convenience. Inside the model, drivers will find that their audio and cruise controls are mounted on the steering wheel, and there is plenty of in-car storage. A backup camera is also a standard perk that drivers may find useful, and features like keyless ignition are available for those who may want to upgrade to the next trim level up.